So, I decided to talk to teachers, students and the office of a state lawmaker who wants to fix the problem. Click on the video above to learn what I found out. Student use of smartphones at school diverts attention from learning. Kids often are checking out social media instead of focusing on their lessons. In addition, cellphone use creates conflict between teachers and students — and between students. 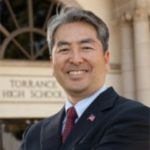 Assemblyman Al Muratsuchi (D-Torrance) has heard teachers in his district echo similar frustrations. Earlier this year, he introduced a bill (AB 272) requiring school districts to prohibit or restrict smartphone use on school grounds during school hours. 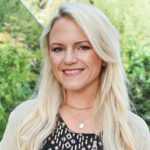 “Growing evidence shows excessive smartphone use at school interferes with education, encourages cyberbullying, and may have adverse effects on teenage mental health, including increased rates of depression and suicide,” Muratsuchi said in a news release. Just last year, France banned cellphones in schools, kindergarten through ninth grade. And perhaps Muratsuch’s legislation will get a boost from Texas Tech men’s basketball coach Chris Beard, whose team is playing for the NCAA title tonight. Beard bans cellphones at team meals and all nights of a road trip. Every night on the road, team manager Cooper Anderson knocks on player doors around 11 o’clock to collect the phones. The bill is scheduled for a hearing before the Assembly Education Committee on Wednesday (April 10). Whether you are for it or against it, let your district assemblymember know how you feel.